The Year of the Dog is concluding with the breaking news that negative equity is raising its ugly head again, following years of a property boom that has seen prices surging more than 300 percent since hitting a low during the 2003 SARS outbreak. That could be ominous for the Year of the Pig trotting in tomorrow. 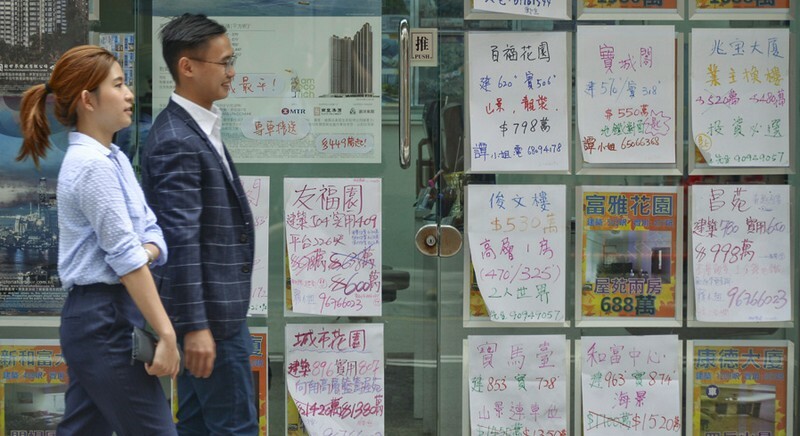 According to the Hong Kong Monetary Authority, a total of 262 cases of residential mortgages slipped into the negative in the fourth quarter, the first time it has reported such a deterioration since 2016. The borrowers were mostly bank staff who were usually given a higher mortgage ratio by their employers, and those who joined the mortgage insurance program to obtain higher mortgages. Borrowers opting for higher leveraging are more vulnerable in a property correction. Since the current round of corrections began in August, prices have fallen by some 10 percent - deep enough to make properties thus financed worth less than the outstanding balance of their loans. The HKMA figures, however, were conservative. The actual number must be higher as the authority's survey excluded others involving extremely high-ratio mortgages - some of up to 100 percent financing - provided by developers, or expensive second mortgages offered by lending institutions outside HKMA jurisdiction. By extending to buyers extraordinarily high mortgages, developers have transferred the risk of a correction to the buyers. Although it wouldn't have a material impact on the affected owners as long as the loans are repaid on time, it is never a nice experience to see one's wealth shrink enough to eclipse the pride of being a homeowner. So, is it a question of a half-empty or half-full glass? What do the figures mean? If you're a born optimist who always sees things as half full, you are excused because the US Federal Reserve will most likely keep stepping on the brakes, even if not as hard as wished by President Donald Trump, to slow the pace of interest hikes, which would take the pressure off Hong Kong banks to raise interest rates. But even the same glass may be viewed as half empty. Mount Nicholson is a super luxury development on The Peak. Yet, its first case of deposit forfeiture was reported last month. The buyer of House 16 priced at more than HK$721 million walked away from the deal, forfeiting HK$36 million in deposit. It was a landmark case. On one hand, it reflected the inability of the purchaser to leverage on finance to complete the transaction. On the other hand, it mirrored the sentiment prevailing in the financial market, where money lenders are getting increasingly cautious. Why are they not lending? The answer is straightforward - downside chances are seen as higher than those for the upside. If a supposedly capable buyer was forced to give up the priciest-estate deal due to insurmountable circumstances, what would the situation be with ordinary buyers who are dependent on high leveraging to buy their first homes? It's impossible to miss the headwinds, visible as a gray rhino grazing in the open pasture - not disguised as the black swan that's so difficult to spot.